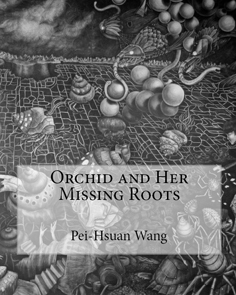 Sunbury Press has released a book featuring the mural "Orchid and Her Missing Roots" by Taiwanese-born artist Pei-Hsuan Wang, a student at the Cranbrook Academy of Art (Bloomfield Hills, MI). Nov. 13, 2010 - PRLog -- Camp Hill, PA - Sunbury Press has released a book featuring the mural "Orchid and Her Missing Roots" by Taiwanese-born artist Pei-Hsuan Wang, a student at the Cranbrook Academy of Art (Bloomfield Hills, MI). "I had proudly said to myself, 'I can be at home anywhere.' ...... I [later] realized that, like a silkworm on a mulberry leaf, I felt at home in all places because I had not been anywhere else..."
In his May 15th, 1955 journal entry from the anthology Lu Mei Xiao Jian (A Collection of Prose from Traveling in America), the Chinese writer Zhi-Fan Chen talked about the interdependence between his homeland, its culture, and himself while he was studying in the United States. Referencing a Song Dynasty painting with orchids floating helplessly in the air, he describes someone "without" a homeland as merely an orchid plant that has lost its roots, "withering by itself even before enduring the harsh treatments of wind and rain." The relationship between spaces, sense of belonging, and identities intrigues me. Orchid and Her Missing Roots explores the formulation of identities in Diaspora. As a Taiwanese traveling overseas, I see migration as an on-going process both mechanical and organic: on one hand, it works under the strict supervision of regulations such as immigration laws; on the other hand, it is extremely personal, malleable, and fluid. A traveling body constantly changes its identities as it encounters different circumstances in its life, combining, regrouping, and eliminating these identities, while finding connections with other bodies at the same time. This fluidity opens up spaces for the construction of homes and sense of belonging. Inspired by Shaun Tan's graphic novel, The Arrival, this drawing is mural-sized. It invites viewers to tell their own stories and find connections with the elements in its fantastical and overwhelming narratives.